We have added new content elements to YouTube video feeds. 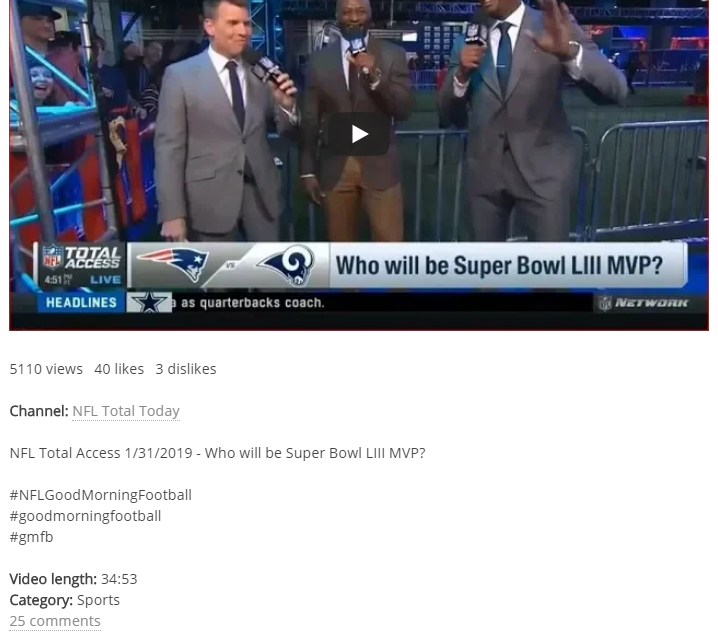 Now each YouTube video description also includes channel name, number of views, number of likes and dislikes, number of comments, video length and video category. Also, we now use full video description, not a short excerpt like it was before. Generate a YouTube feed and use “Preview” – “Full view” option to see the changes. New “Add item title to post” option in Facebook posting campaigns. This option will allow you to add content title to your Facebook posts. This content will be added above post image and before post hashtags, if you use them. Activate this option in Advanced settings when you edit or create your Facebook posting campaigns. This option will work with all types of content feeds, and in case with Facebook feeds it will add message text from the original Facebook post. 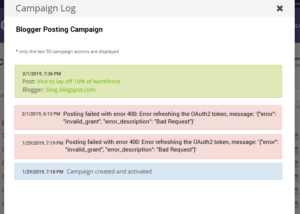 Some of you have reported about the error message in log of some Blogger posting campaigns. It said that token has expired. This issue was fixed. 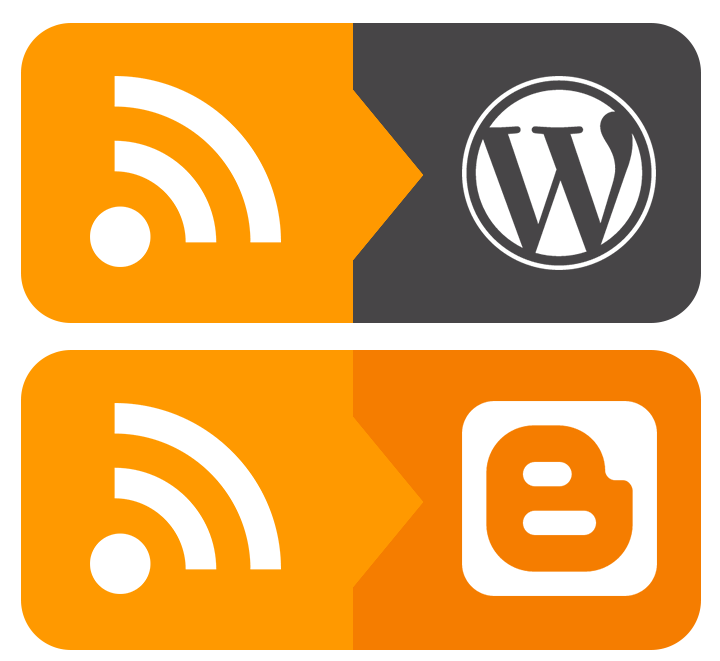 Now your Blogger tokens will be updated automatically. No further action from you is required. We wish to keep closer to our users and provide all needed support at any time they need it. 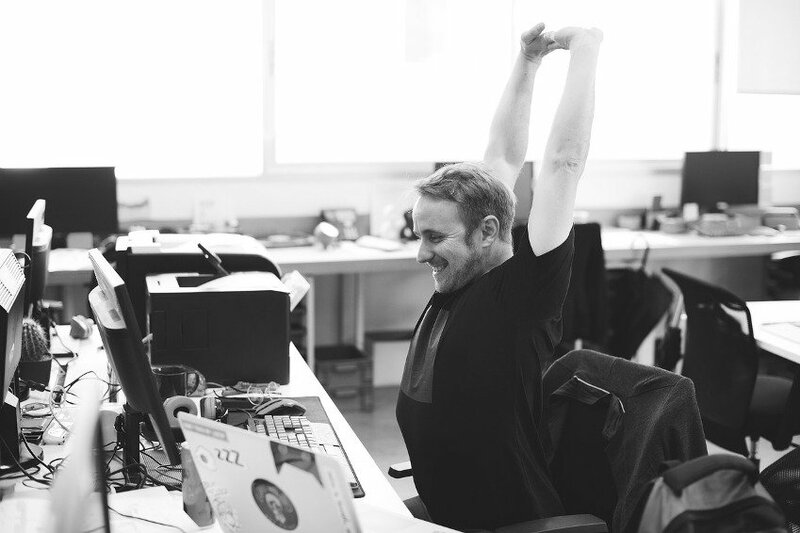 Now, along with vast library of support materials available through our help beacon in the lower right corner of the screen, you can reach our support team via live chat. 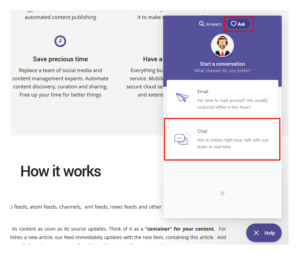 In beacon choose “Ask > Live Chat” option to talk with our team members in real-time if any team member is available at the moment. We have completely reworked our WordPress and Blogger posters. They now have much more user-friendly interface, which is tuned to our other tools. You will also find more posting options, as well as revised old options. We are on the final stage of tests and will introduce new posters sooner than soon. 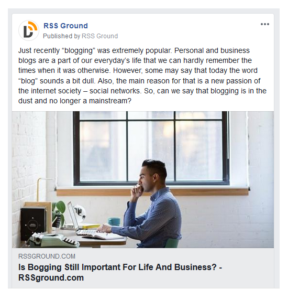 Our main goal is to make RSS Ground service easy to use and effective tool that helps you automate your content marketing efforts. And only with your suggestions and ideas we can keep making it better and better. Don’t hesitate to contact our support team with any feedback or suggestions. And remember – we are always here to help and assist. PrevPrevious postIs Blogging Still Important For Life And Business?